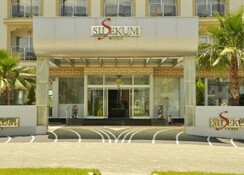 Hotel Side kum is located close to the famous Tourism center of Side. 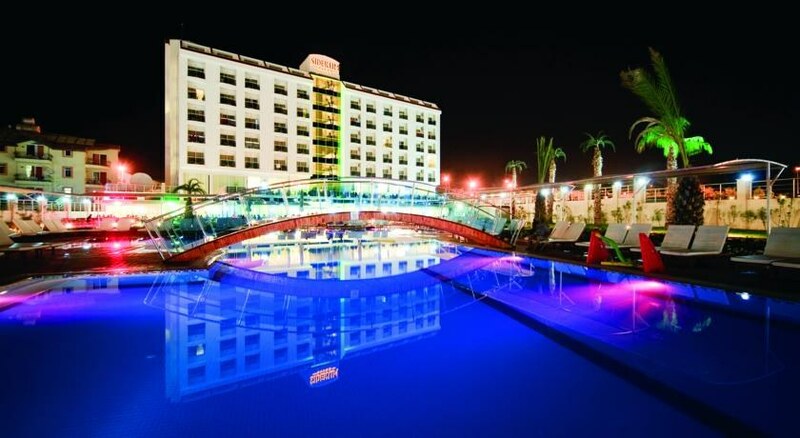 It is 5 km to Side, 7 km to Manavgat, around 54 km to Antalya Airport and 64 km to the center of Antalya. The International Golf courses in Belek are around 40 minutes away. The sandy beach is just 600 m away and a Shuttle service is available. Hotel Amenities; 24hr reception, Exchange service, Laundry service, Restaurants, Outdoor and indoor swimming pools, sunbeds, mattresses, towels and umbrellas around the swimming pool, Bars, Disco, Rental Safe boxes, Biliards, Internet, Massage, Turkish Bath, Sauna, Doctor, Photo service, Mini market, Gold and Silver Jewelery, Boutique and conference room. 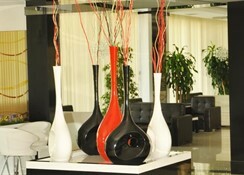 Side Kum Hotel provides the ideal location for lovers of modern design, excellent dining options and health treatments. The natural beauty, which surrounds the hotel, takes guests away from the reality of a hectic daily life and helps you relax in the gorgeous surroundings. There is something here for everyone whether you want to be entertained or enjoy peace and tranquility, it's all available at this 5 star resort. 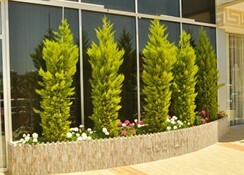 The hotel provides high standards, comfortable accommodation and a wide range of facilities and activities. 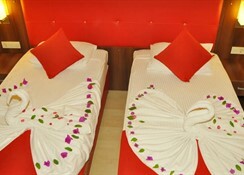 There are total of 197 rooms in the Hotel whith 151 standard, 45 family and 1 disabled room. The spacious bedrooms include individual air conditioning, rental safe boxes, bath tub, WC, hairdryer, balcony, minibar, direct dial telephone and Satellite-TV.